I started off with a Betty Crocker recipe for banana muffins...but with my own additions and changes, I created my own yummy muffin! The banana chocolate chip oatmeal muffin! I made 10 big muffins and filled an entire mini muffin pan with this recipe and I was scared to death they wouldn't last until the morning! Remember when I was telling you my husband use to hate sweets? Well guess what...he's not a muffin lover either...UNTIL NOW! and he made the "MMMM!" sound! EEEK! I was so thrilled. Before I got too excited too soon I asked what he thought. He asked me to go get him another one! Then 5 minutes later...2 more! YAY! I have not only converted him to cookies, pies, and cupcakes....but now muffins! 2 medium bananas - I like the wait until they have browned a little. They taste better and are easier to mash. Go ahead and preheat your oven to 400 degrees. Grease your muffin cups or pan. In a large bowl, mash the banana's and mix well with milk. Beat the milk mixture with the egg, oil, and vanilla with whisk. Stir in flour, brown sugar, salt, and baking powder all at once. Stir just until moistened. Divide batter evenly to the muffin cups about 3/4 full. Top with oats or granulated sugar if you wish. 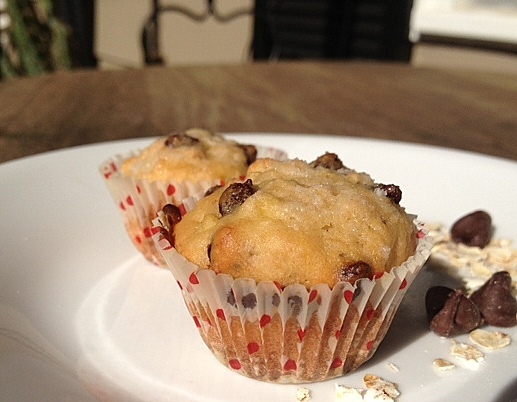 Adding sugar on top will add extra crisp and sweetness to the muffin when it is done. 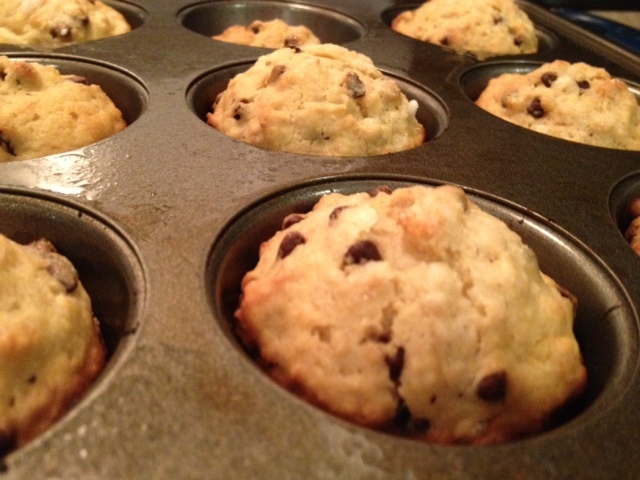 When the muffins are done, take them out of the pan and let them cool. 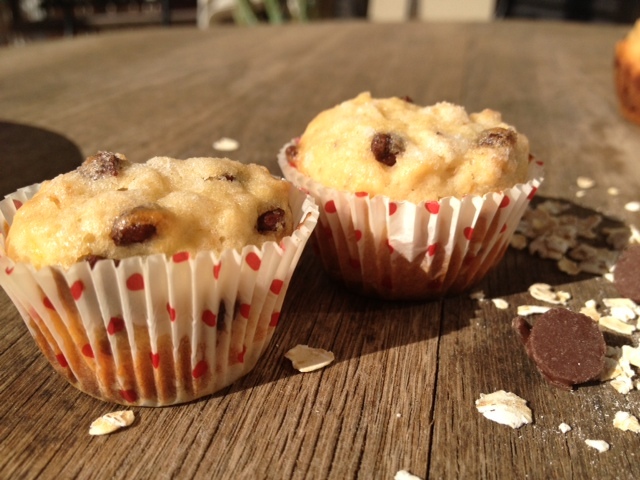 I love to make batches of muffins like this on the weekend to have to breakfast in the mornings! Love the recipe and the pictures! Coconut oil probably makes it sweeter! I am a sweets person :) Thank you for the idea! I am so glad you liked them! Let me know what your husband thinks!